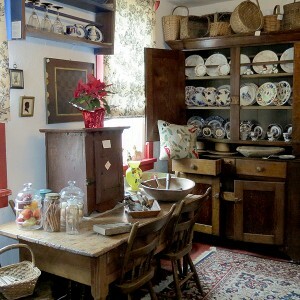 Furniture items include 19th century cupboards, wardrobes, tables and other smalls, in original paint or finish. China items feature children’s soft paste ABC plates; flowing Mulberry, soft paste, pearlware. Pewter and brass candlesticks, baskets, redware and other appropriate period accessories are available. 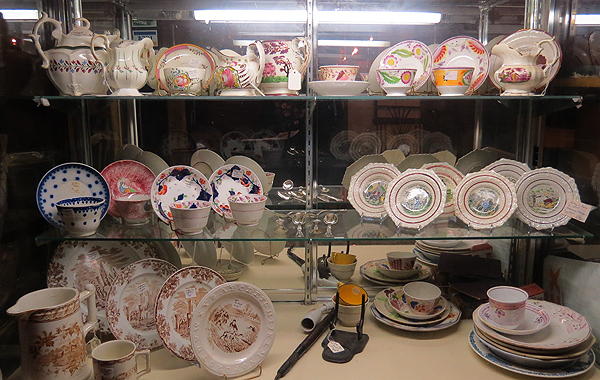 Our Antique Shop is comprised of two full rooms, and was the original Cobbler “shop” for the Zoarites. 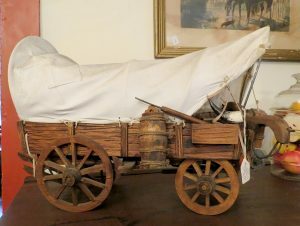 Each room is filled from floor to ceiling with delightful antiques available for immediate purchase. 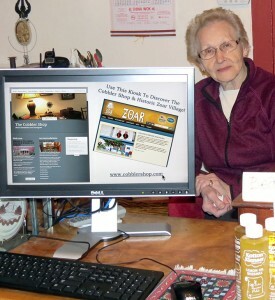 Begin your online antique shopping journey by browsing our Nook pages. Each contains a photo of a small grouping of objects, along with a brief description underneath. Serious inquiries are always welcome – please call for additional information and pricing! 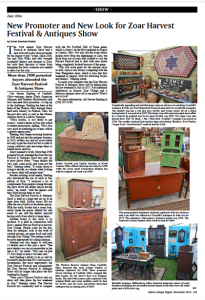 If you weren’t able to come to the Harvest Festival and Antique Show and Sale, read all about the Antique portion in the maine-antique-digest-2016-zoar-harvest-festival-article. 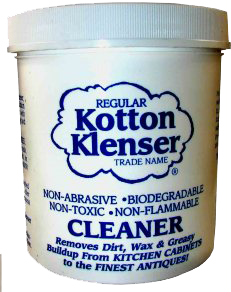 Yes, we carry Kotton Klenser! Visit our Nooks pages by clicking the links below. There you will find just a few of our excellent pieces that are for sale.